. 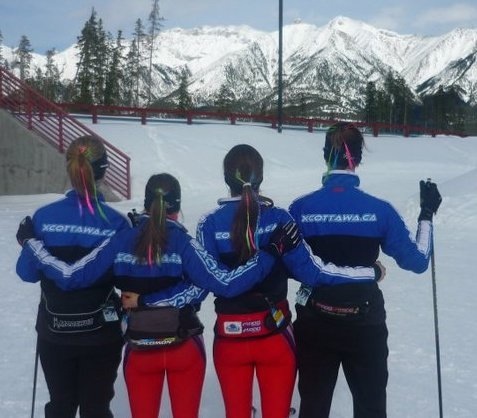 : The Girls Side.... :: Ski XCOttawa.ca :: Skiing in Ottawa and Gatineau Park :. This year on XC Ottawa our girls team is equal in size to our boys team. This has been a blast not only for training but also for good camaraderie. Every girl brings something new to the team. 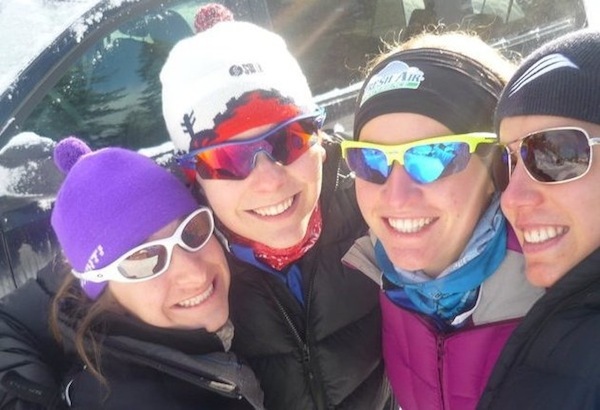 I will look at what I think is fantastic about the women of XC Ottawa. I have known Megan since she was a Jackrabbit. 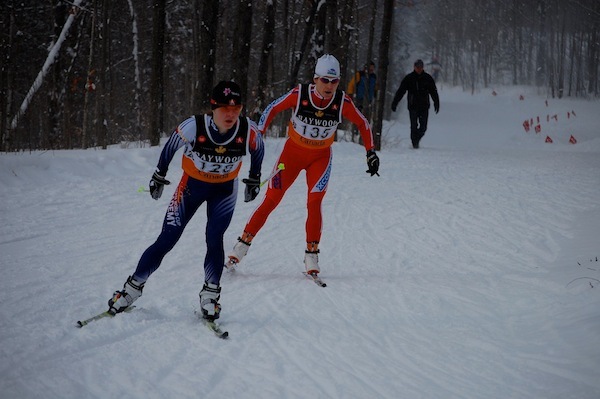 We both raced for the Waterloo Region Nordic ski team when she was the fastest person I knew. She still remains wickedly fast and I am always blown away by her dedication to the sport, racing and training. If you don’t know that Ingrid is hilarious, you don’t know Ingrid very well. Ingrid has a quiet determination and a huge drive to improve. The fact that she loves monster up hills is a testament to that! Ingrid has been steadily improving year to year, so watch out! 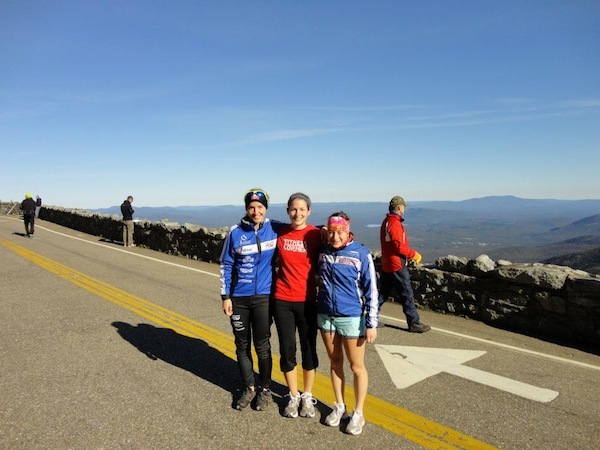 Danielle is our summer team member and I have loved training with her! She always has motivation to get the task at hand done with no fuss! Ski bounding definitely loses some fun when she goes away for the school year. Kyla is a new addition to the team but what I have learned so far is that she has a hugely competitive personality. She loves tough competition! She is also super helpful like when on the way home from our first Lake Placid trip she happily quizzed me on medications for my up coming interview. I was talking to a friend who recently bumped into Sheila at the gym and the only word they could think of to describe her workout was “wow!” Aside from the explosive pull-ups and being one of the only women born in the 60’s in the top 30 in Canada, what I respect most about Sheila is her balanced life style. She eats well, has a real job, a family and an approachable high-energy demeanor. Vesta has a lovely dry sense of humor that I appreciate in a friend and teammate. She is an amazing worker, always willing to volunteer for the tasks on the team that can be less desirable. She is always keen to try new things. Even breaking her arm this summer didn’t deter her from continuing to try mountain biking! I have really loved training with Katie the last few years. She always has good stories! I particularly enjoy long skis with her where she patiently lets me struggle on in French and only mildly makes fun of me. Katie has trained really hard this summer so this year should bring good things! I might not have much perspective on myself but I love the sport of skiing and I think my team mates are some of the best people ever. I attempt to be energetic and help people out when needed. Oh and I love waxing skis. 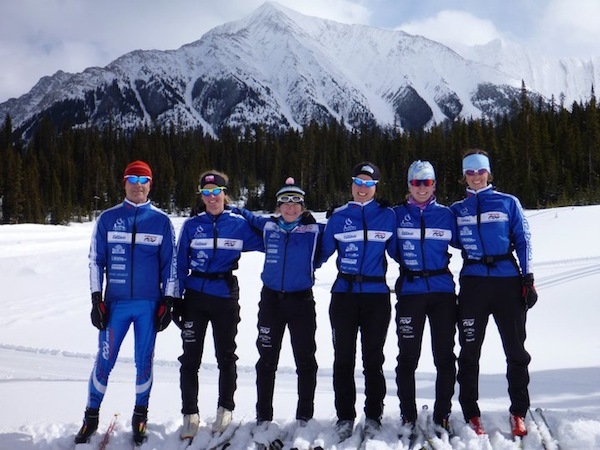 XC Local: Happy New Year!